Your child's first visit to Westwood Children's Dentistry establishes a vital foundation for our relationship with you and your child. During the first visit, we make sure to obtain important background information for your child and give him/her time to get to know Dr. Karimi. To understand what to expect from your child's first visit to our practice, please read through this page. Our friendly staff at Westwood Children's Dentistry is dedicated to caring for your child's oral health and well-being. We take the time to create a personalized treatment for each of our young patients. It is our goal to make your child's visit with us an extremely pleasant one and to send him/her home with a bright, beautiful and healthy smile. 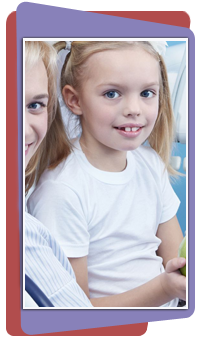 On your child's first visit, we will review his/her medical and dental histories and evaluate his/her oral health. We will take digital x-rays of your child's teeth and Dr. Karimi will explain whether or not he/she will require any dental treatment. We will be more than happy to answer any questions you might have.